All customers of Boxed Indulgence agree to abide by the following terms and conditions. Boxed Indulgence reserves the right to change these at our discretion. We accept payment via Paypal. Through the Paypal portal Credit Card payments can also be made. We also accept payment via Direct Debit to ANZ 016 580 310377102. You can also contact Boxed Indulgence on 0415 353 493, where we can take your order over the phone and we discuss our other payment options with you. 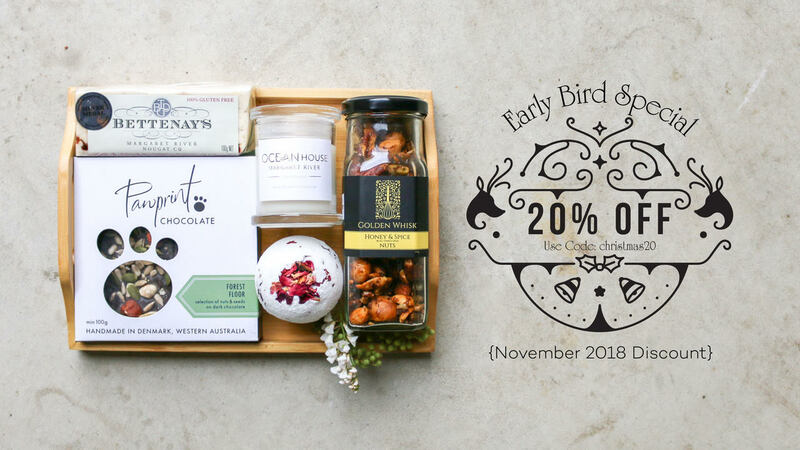 Our Boxed Indulgence hampers are dispatched promptly of the order being received, and it is advisable that if an error has been made or if you wish to cancel the order, to call us immediately on 0415 353 493 (business days 9am-5pm AWST). Please call boxed indulgence on 0415353493 or email at gourmet@boxedindulgence.com.au to discuss further. Boxed Indulgence goes to great lengths to ensure that what you see is what the recipient received. There are times however when this is impossible due to various factors including local availability or seasonal variations. If an item is unavailable we will substitute it with another similar item of quality and price. On the rare occasion this is not possible we will endeavour to contact you prior to delivery. Orders received well in advance of their expected delivery date will reduce our need to substitute. If your Boxed Indulgence Hamper is delivered (to a local address) and the recipient is not available to accept the delivery, we will leave your boxed indulgence hamper at the front door, unless otherwise instructed. If your Hamper is delivered (to the South West area or the Rest of Australia) and the recipient is not available to accept the delivery, a card will be left in the mailbox and the Hamper will be delivered to the nearest Post office/Depot so that the recipient can re-organise another delivery or pick up their Boxed Indulgence Hamper at a suitable time. Note: Boxed Indulgence couriers will leave items at addresses where they consider it is safe to do so, and not be damaged or stolen. We accept no responsibility where it has been deemed safe to leave by our couriers and the item/products goes missing or is stolen. Where it’s not possible to leave items safely, then the goods will be returned for re-delivery and charges may apply. During the last 2 weeks of December, our couriers experience an unprecedented volume of hamper deliveries. We will endeavour to have your hampers delivered as close to your preferred delivery date as possible. Please keep this in mind and order early to avoid any disappointment! If you are concerned about a delivery, please feel free to email gourmet@boxedindulgence.com.au or call us on 0415 353 493 to ascertain the status of your order during the festive season. Defective merchandise may be returned to Boxed Indulgence within 7 days of original purchase date. Boxed Indulgence requires valid proof and identification when processing all returns and exchanges. Please note, hampers returned back to Boxed Indulgence due to an incorrect/incomplete address or delivery rejection by the recipient, are not eligible for a refund or re-delivery. This is because we incur additional costs for the return delivery of the hampers and the disposal of perishable items contained in the hampers. Online refunds will be issued in the original form of payment for price paid or merchandise exchange when returned within 7 days of the invoice date. 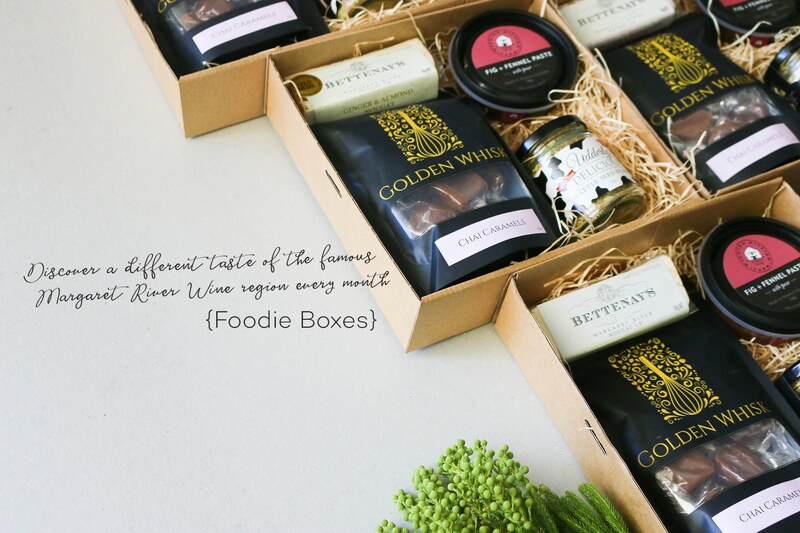 To return any Boxed Indulgence Online purchase, please notify us at gourmet@boxedindulgence.com.au. Please include the reasons and photographic proof of why you are returning it. We will contact you with a return authorisation along with any special instructions. Pack and seal your return securely (in the original package if possible) and include a copy of the return authorisation. All returns must be sent prepaid at a cost to the customer, as we do not accept C.O.D. deliveries. Only one promotion coupon code may be used per order. This is applicable for all orders placed via the website and via phone. A promotion coupon code may only be redeemed in one transaction. The value of a promotion code cannot be split and any value that is not redeemed at the time that the promotion code is used becomes void. Boxed Indulgence respects your privacy and we are committed to the protection of your personal information. Whilst many aspects of the site can be accessed without providing personal information, we will collect personal information from you when you register, place an order, subscribe to our newsletter, respond to a survey or fill out a form on either the Boxed Indulgence website or via the phone. When required, you may be asked to provide feedback and/or further information (including photos) in regards to your purchase. Boxed Indulgence also uses Google Analytics, which is a web analysis service provided by Google. Google utilises the data collected to track and examine the use of www.boxedindulgence.com.au, to prepare reports on its activities and share them with Boxed Indulgence and other Google services. For device based information collected via the web server software, this information is used to create summary statistics which allow us to assess the number of visitors to different sections of our site, discover what information is most and least used, determine technical design specification, and help us make our site more useful to our visitors. Boxed Indulgence may engage other companies to provide services on and for our behalf, including but not limited to; providing an email service, file and image hosting, processing transactions or customer freight shipping. Those companies will be permitted to obtain only the personal information they need to deliver the service. Boxed Indulgence takes reasonable steps to ensure that these organisations are bound by confidentiality and privacy obligations in relation to the protection of your personal information. All sensitive/payment information you provide or view online with Boxed Indulgence is transmitted between your device and the Boxed Indulgence website using Secure Socket Layer (SSL) technology which ensures this information is encrypted (unreadable without a key) between your device and our firewall protected network. To ensure we are meeting industry best practices in regards to providing a secure online experience, Boxed Indulgence and our payment gateway provider are regularly audited to ensure we are meeting the Payment Card Industry (PCI) requirements in regards to transmission and storage of credit card information. Anyone can choose to receive Boxed Indulgence e-newsletters, and at any stage you wish to stop receiving any promotional emails, you may simply unsubscribe using the link provided in the email. We do not support, condone or participate in spam email. If a recipient requests information about who sent them a gift, this information will not be provided without your express permission. We will contact you advising that the request has been made, however, we will not release that information until we obtain approval from you to do so. As such, all orders are anonymous unless you tell us otherwise.